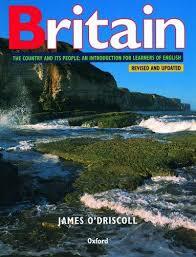 245 1 0 %a Britain : %b [the country and its people : an introduction for learners of English] / %c James O'Driscoll. 250 %a Rev. and updated., 20th impr. 260 %a Oxford : %b Oxford University Press, %c 2008. 300 %a 224 s. : %b il., fot. ; %c 26 cm.